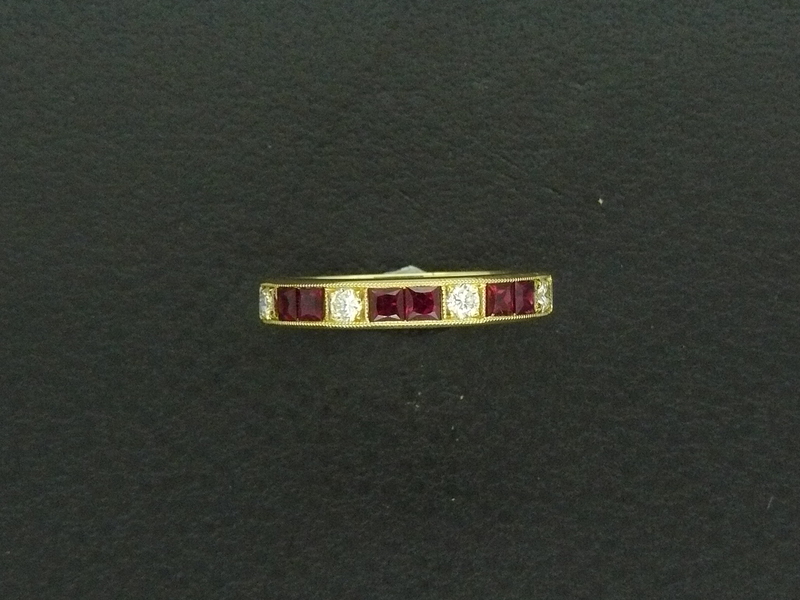 Square cut ruby (0.62ct.) and diamond (0.19ct.) 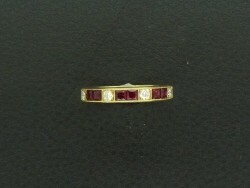 half eternity ring, channel set in 18ct. gold.